Mark Carver is serving a life sentence without parole after his 2011 conviction for strangling Irina Yarmolenko. Her body was found near her car in Mount Holly, on the banks of the Catawba River. Carver and his cousin were fishing downstream at the time. Chris Mumma, executive director of North Carolina Center on Actual Innocence, is seeking a new trial, arguing that Carver received an inadequate defense and that key pieces of evidence used to convict him would not stand up to updated testing and new information uncovered in the case. In particular, Mumma claims that far more conclusive testing and reporting of DNA will undermine the prosecution’s contention that Carver’s genetic material was found on Yarmolenko’s car. She also says Carver’s statements to police indicating that he knew the victim’s height can be challenged by interrogation video – never seen by a jury – that shows he was coached into giving the description by a detective. In 2016, the Charlotte Observer published “Death by the River,” a six-part series raising questions about Carver’s guilt. Holly McFeeture was convicted in 2013 for killing Matthew Podolak, the father of two of her children with antifreeze in 2006. At sentencing, Holly’s family members said she was a loving parent and a loyal and trustworthy person, who coached little league and raised her children the best she could as a single mother. “My mom is the greatest mom in the world because she is sweet and kind…I miss her,” said message from Podolak’s two younger children. Holly’s 15-year-old daughter said her mother raised three beautiful and loving children and was always there for them. Holly was a suspect in Podolak’s death since 2006 when a pathologist concluded he died from chronic intoxication by ethylene glycol, the active ingredient in antifreeze. She was not charged until 2012, after Cleveland police received a tip that the poisoning was not an accident or a suicide. Podolak’s family always maintained that he didn’t kill himself and that he was suffering from medical problems in the months before his death that caused him pain. Before the sentencing hearing, McFeeture’s attorneys asked that Corrigan overturn the jury verdicts and acquit McFeeture or grant her a new trial. They argued that state had failed to tell them that a former boyfriend of McFeeture’s, who was a key witness against her, had testified in another murder trial that sent a man to prison last year. Jordan argued that attorneys should have been able to question him about it so jurors could weigh it in terms of his credibility. Corrigan, however, denied the requests citing plenty of evidence and testimony that the jury heard questioning the Jamison Kennedy’s credibility — or lack of credibility. Robert Fischer is accused of murdering Lee Radder. Robert was staying with relatives ( he was the step-father of the Lee’s wife ). Lee Radder apparently committed suicide on 30 December 2010, after receiving bad news about a business deal. He had spent the night in a heavy drinking session with Robert. Due to being intoxicated, Robert made some confused, inaccurate statements, stating that he was in bed when the shot was fired, whereas in reality he was in close proximity to Lee. The prosecution allege Robert staged the scene. However this is scientifically impossible. Forensic evidence conclusively demonstrates that Lee shot himself, and there was no staging. On 28 February 2014, the trial judge overturned the jury’s verdict, on the grounds that the verdict was contrary to the balance of evidence and prosecution misconduct. The gun in Lee’s hand and the high velocity back spatter on Lee’s hands is compelling evidence that Lee shot himself. 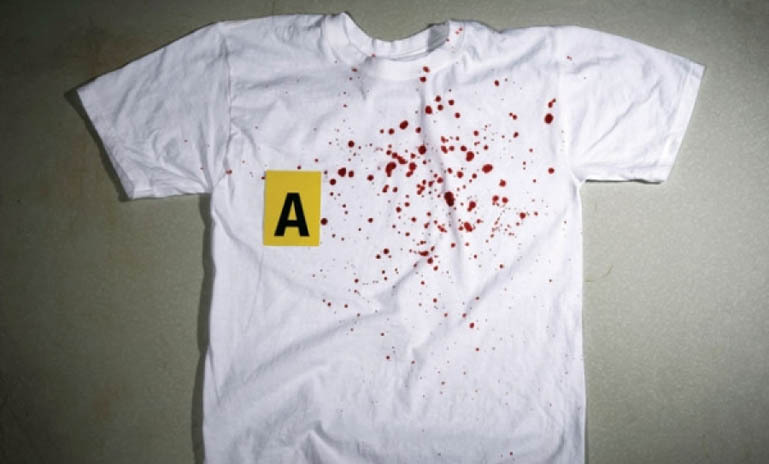 Detective Acosta’s opinion that the defendant manipulated Lee’s body and staged the scene is not supported by the physical evidence and lacked credibility. See here for the full ruling.